Mastic is a liquid sealant that is flexible and protects surfaces after drying. Mastic sealant can easily adhere to different materials such as glass, concrete, aluminum, wood, duct board, marble, and steel and can maintain a durable bond for long time. It has a wide range of use that includes connecting windows and other structures in residential areas to filling cracks in different masonry works. Rise in the popularity of eco-friendly and low volatile organic compounds (VOC) sealants, these adhesives contribute to environmental problems like air pollution, in particular, the formation of ground-level ozone or smog. The Global Mastic Sealant Market was valued at US$ 10790.0 Mn in 2017 and is expected to reach US$ 14250.0 Mn by 2022. 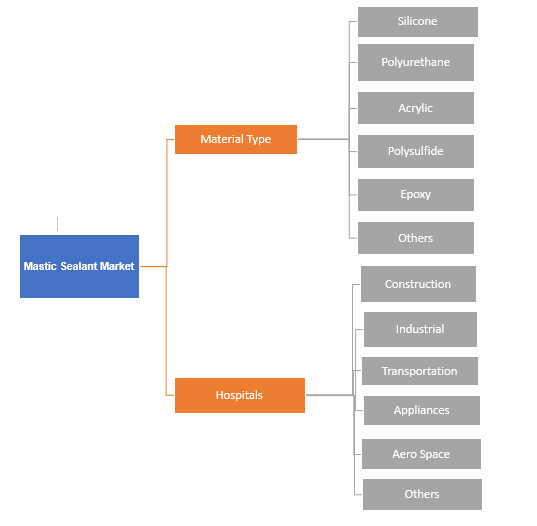 The rise in demand for mastic sealant in various applications, such as pressure sensitive, construction, furniture, and automotive, is estimated to drive the mastic sealant market during the forecast period 2018-2026. Rapid industrialization and urbanization in countries such as China and India have led to the expansion of various end-use industries such as automotive, construction, residential, and nonresidential. Several manufacturers are trying to come up with new formulas for producing mastic sealants that will provide better workability even while using it in applications that entail severe joint movements. Based on type, the market for mastic sealant can be segmented into oil-based mastic sealant, silicone sanitary grade, glazing silicone, rubber based, acrylic, caulk, polyurethane, and high temperature based. Oil based mastic sealant remains fluid under a fast forming skin that can be painted over after being allowed to dry. 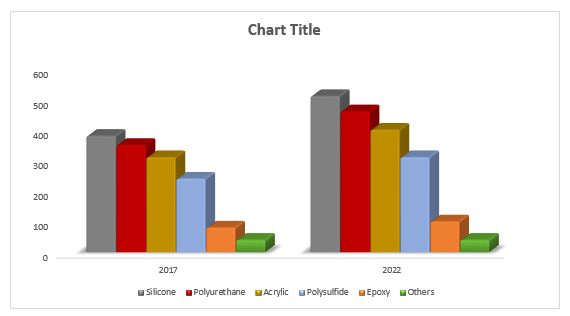 The rubber-based segment is expected to expand significantly during the forecast period primarily due to the high workability, tensile strength, and adhesion of these type of sealants. This is anticipated to drive the mastic sealant market across the globe. 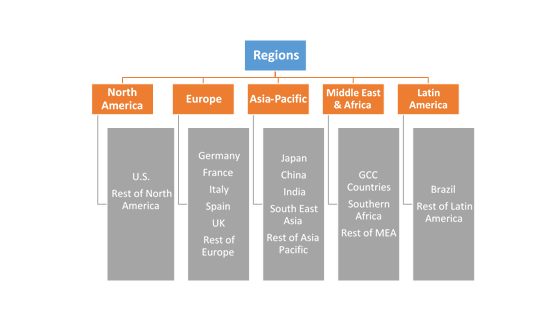 In terms of region, the global market for mastic sealant can be segmented into North America, Latin America, Asia Pacific, Europe, and Middle East & Africa. On the basis of geography, Asia Pacific is anticipated to dominate the market in the near future primarily due to the rapid industrialization and urbanization in countries such as China and India. The resulting growth in the usage of mastic sealants in various industries, is expected to boost the mastic sealant market. The report provides both, qualitative and quantitative research of the market, as well as strategic insights along with developments that are being adopted by the key contenders. The report also offers extensive research on the key players in this market and detailed insights on the competitiveness of these players. The key business strategies such as mergers and acquisition (M&A), affiliations, collaborations, and contracts adopted by the major players are also recognized and analyzed in the report. For each company, the report recognizes their manufacturing base, competitors, product type, application and specification, pricing, and gross margin. Some of the prominent players in Mastic Sealant Market are 3M Company, ND Industries, Inc., H.B. Fuller, Carlisle Fluid Technologies, Bostik Philippines Inc., Eastman chemical Company, Wacker Chemie AG, ADCO Global, Inc., Sika AG, Momentive Chemical Specialty Chemicals Inc., amongst others. 13.9. Momentive Specialty Chemicals Inc.